The Plaintiffs were granted a TRO, and then a clarifying Preliminary Injunction order, for the Defendant to preserve electronically stored information in a case where a former employee went to a competitor with trade secret information. Henry Schein v. Cook (N.D.Cal. June 22, 2016, No. 16-cv-03166-JST) 2016 U.S. Dist. LEXIS 81369, at *31-32. Defendant emailed from her work email account to her personal email the Plaintiff’s comprehensive and confidential customer practice reports. Defendant emailed additional customer-related reports, including an equipment inventory report, price quotations for prospective customers, and equipment proposals before she resigned. Defendant logged into the Plaintiff’s computer system, which “updated” her laptop with specific customer data before she resigned. The Court found in conducting the preliminary injunction analysis that the Plaintiff had a likelihood of irreparable injury and a likelihood of success on the merits. Henry Schein, at *9-10. However, Judge Jon Tigar focused the preliminary injunction to prohibiting the Defendant from using the ESI containing trade secrets she emailed to herself. Id. Pursuant to Federal Rule of Civil Procedure 26(d)(1), Defendant shall immediately preserve all documents, data, tangible things, and other materials relating to this case, including, without limitation, emails, data, data bases, cloud storage, and paper and electronic data and documents, including any and all metadata, and shall take all steps necessary to do so. The big question is, how to comply with the order such as the above? There would need to be a detailed interview to identify any computer with the Plaintiff’s data. After that, one option is to first forensically image the personal computer of the Defendant, which will preserve any work files downloaded to her personal computer. If the Defendant used a webmail account, a targeted collection of emails sent from her work account to her personal one should defensibly preserve any relevant ESI. Collecting any email sent to the new employer from the Defendant would also be a smart preservation plan. Taking the personal computer out of service would be a prudent plan (which some might disagree with). All of these steps are to ensure compliance with the preliminary injunction. Another option is to cease using the personal computer and acquire a new one. This carries some risk as computers may fail, so a defensibly forensic image is highly recommended. Even if the computer is taken out of service without a forensic image, a targeted collection of email is strongly recommended. 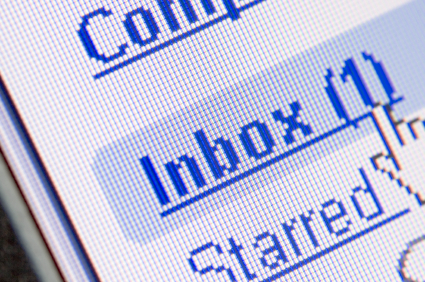 Some attorneys would go so far to ask their client to create a new email account for her personal use and cease using the one subject to the litigation. The case likely will require forensic analysis of when ESI from the Plaintiff was accessed by the Defendant. This by its very nature would require a forensic expert to examine the data and prepare a report. As such, it would be very difficult to only take the computer out of service for compliance with the preliminary injunction. Life could become very exciting if any of the data from the Plaintiff had been copied to a computer issued by the Defendant’s new employer. Similar preservation steps should be executed, in order to comply with the Court order, and limit potential liability of the employer. There are likely other ways to ensure compliance with the preliminary injunction, but all would require careful thought by the Defense attorneys and computer experts. Previous Post:Huh? $3000 to Produce 3GB of Email and Excel files?